Start Today Empowering Personal Success focuses on helping participants begin their journey toward self-sufficiency by examining financial, social, emotional, physical, educational, and spiritual needs. With the help of a life coach, participants create goals and develop action plans that will be utilized in the various classes provided at the Center. Jobs for Life is a life-changing opportunity for men and women to gain the knowledge, skills, and confidence they need to experience greater success. As students learn skills needed for the workforce, they are equipped with confidence, dignity, and the desire to become self-sufficient. Most important, each student has the opportunity to develop a relationship built on trust within themselves, with others, and ultimately with God. 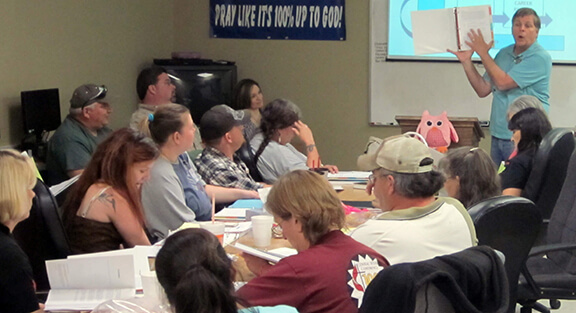 Jobs for Life is an 8-week job training program held twice a week in the fall and spring semesters. Surrounded by a community of ongoing support, students are able to identify barriers to employment, explore career goals and strengthen core work readiness skills. As students learn skills needed in the workforce, they are equipped with confidence, dignity, and the desire to become self-sufficient. Most importantly, each student has the opportunity to develop a relationship built on trust within themselves, with others, and ultimately with God. Community relationships and strategic business partnerships are crucial to the success of this program. Numerous community, church, and professional volunteers assist through activities such as mock job interviews, class instruction, speakers, and community/employer roundtables. 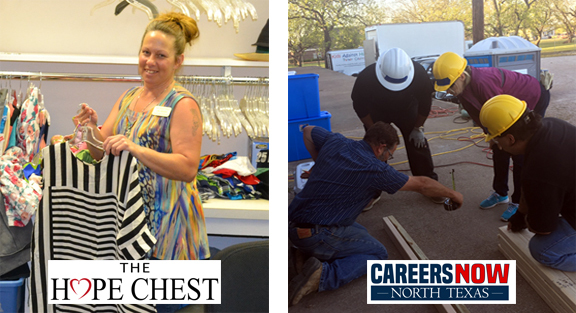 For qualifying students, the Center offers a six month paid job training program through our resale shop The Hope Chest. Students will have the opportunity to improve on core work readiness skills while staying connected to their life coach and classes at the Center. For more information, visit www.thehopechestresale.com. 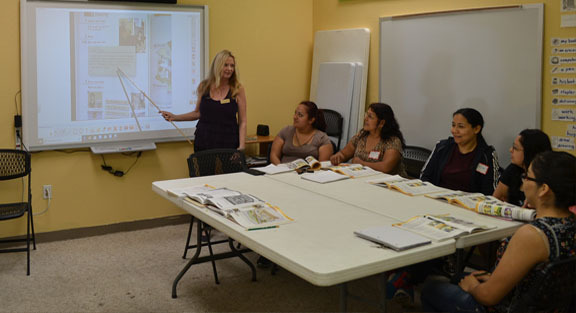 Center of Hope has developed a pre-apprenticeship training program designed to help individuals gain valuable knowledge of the construction industry. This class features a five-week training period with four days of instruction per week and ends with students participating in a hiring fair. For more information, visit www.careersnowtx.com. For students who have completed Jobs for Life Class and have gained employment, Leadership Development continues their career development by learning skills and values needed to become a leader in their workplace. This 6-week course combines educational resources along with supportive coaching to help student’s continue towards their long-term goals. 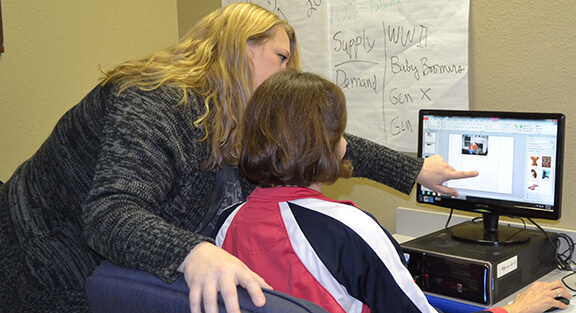 In partnership with Weatherford College, Center of Hope offers a computer class called Computer Skills for Business/Professionalism in the Workplace. This course provides basic computer training and teaches students topics that improve personal effectiveness and create habits of success. This six week course offers basic computer training in Microsoft Word, Excel and PowerPoint and is designed for students with little or no computer experience. In addition, this course will teach and motivate attendees to improve personal effectiveness and create habits of success. Some of the topics covered are: attitude and how it impacts your company, customer and colleagues; appropriate dress and professional behavior; business etiquette; Key elements of good communication; working effectively as a team; personal accountability; customer service; ethics; problem solving techniques to complete tasks; effective work habits; and time management. Students who complete 136 hours of coursework will receive a certificate from Weatherford College’s Continuing Education program. Through financial classes and advising, Center of Hope focuses on teaching financial literacy to our participants in order to strengthen the knowledge and skills necessary to make informed and effective money management decisions. From learning basic fundamentals of reading and math to preparation for the High School Equivalency exam, we work one-on-one with students to reach their goals. 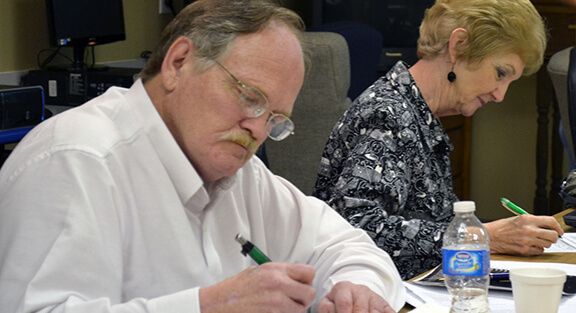 The Adult Education program was established to provide adults learners with educational opportunities to acquire and improve their basic skills necessary to become self-sufficient and productive members of our community. 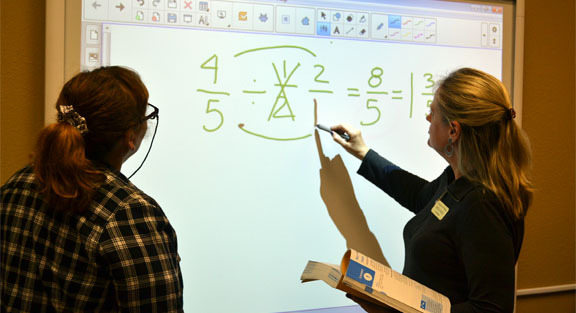 The core elements of our program are literacy and practical arithmetic development which are taught by tutors on a one-one-one basis. For students who desire to earn their High School Equivalency (HSE), we partner with Weatherford ISD’s Bowie Learning Center to help students with the skills necessary to obtain their HSE. 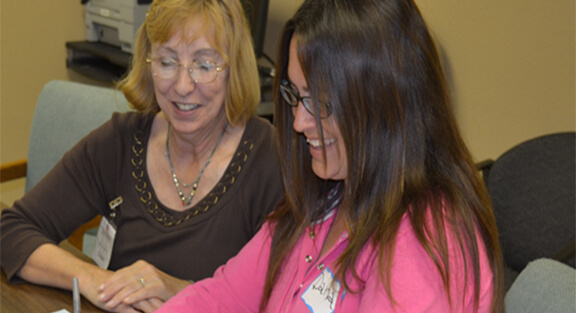 Adult Education provides instruction and promotes increased opportunities for adult learners to transition to postsecondary education, training or employment. 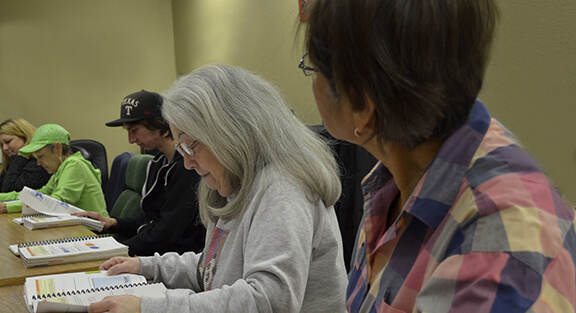 Basic English is a 6-week class for non-English speaking participants and is designed to improve listening, speaking, reading and writing skills.